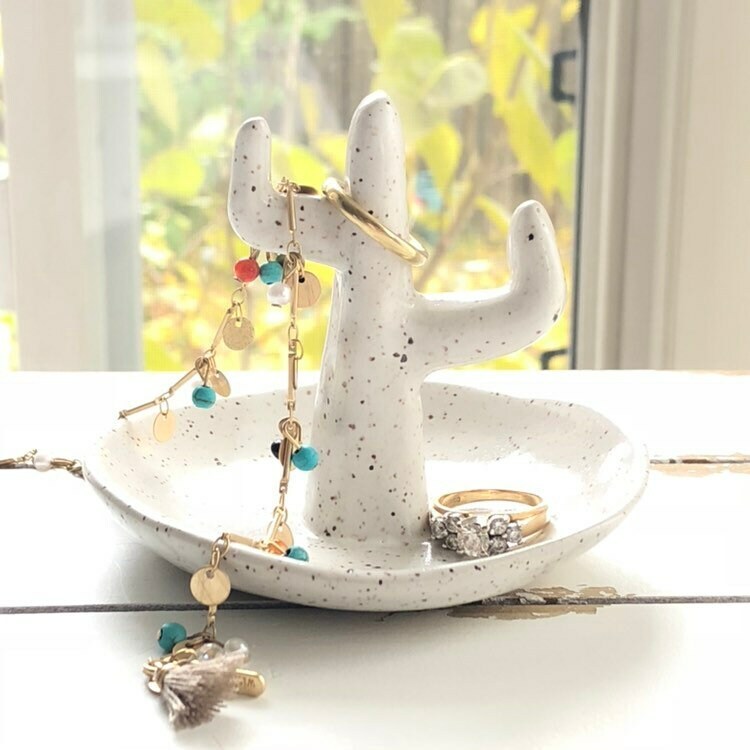 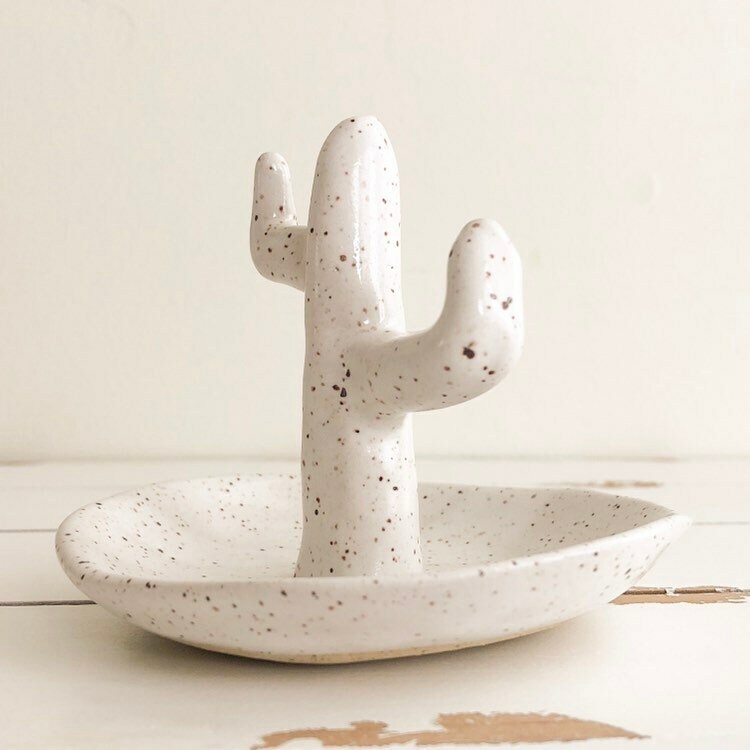 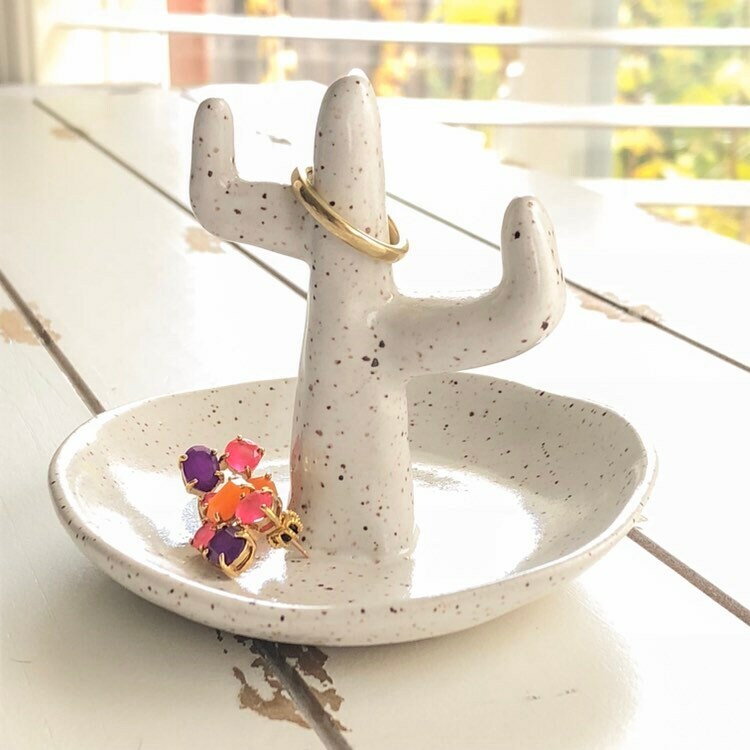 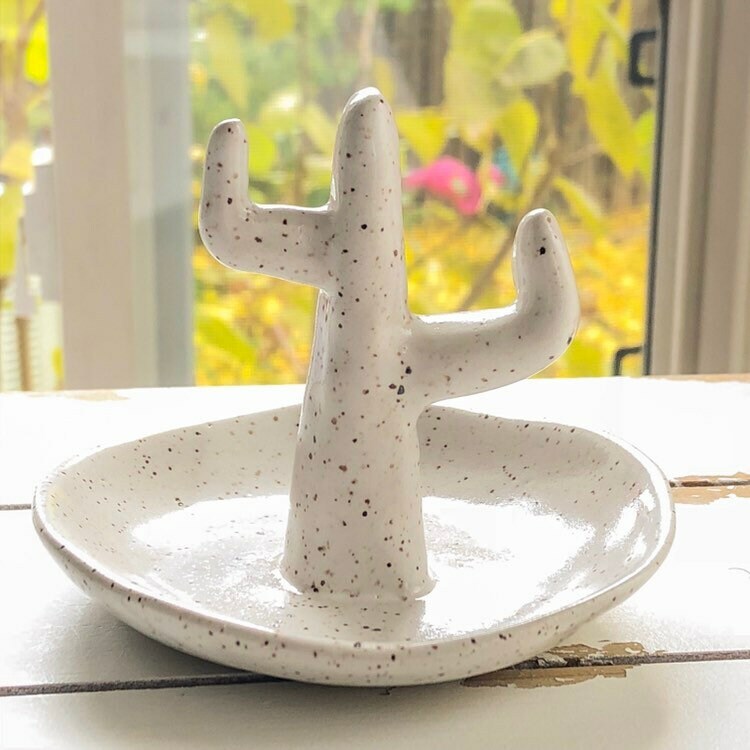 Cactus Ring Dishes are perfect gifts for succulent, cactus lovers. 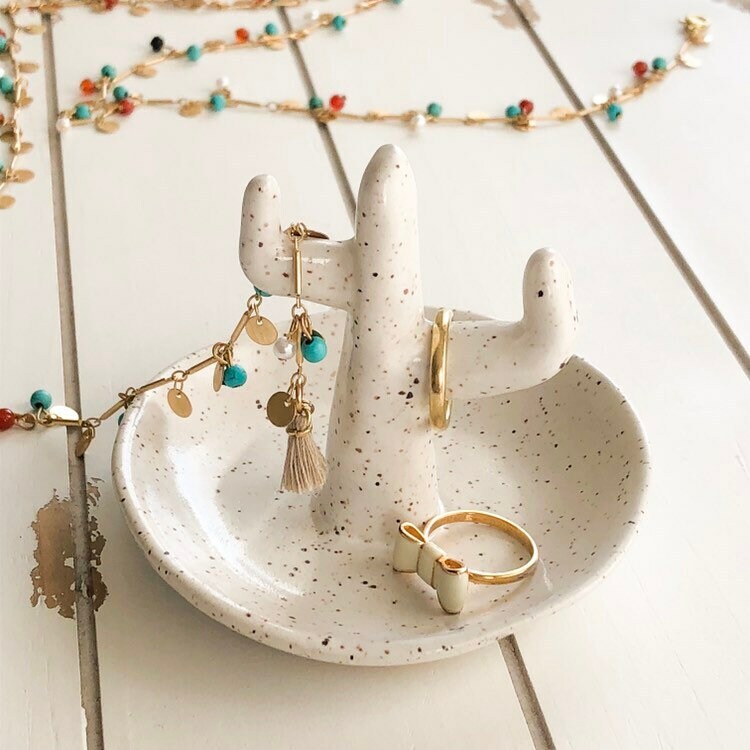 Makes a wonderful mothers day gift. 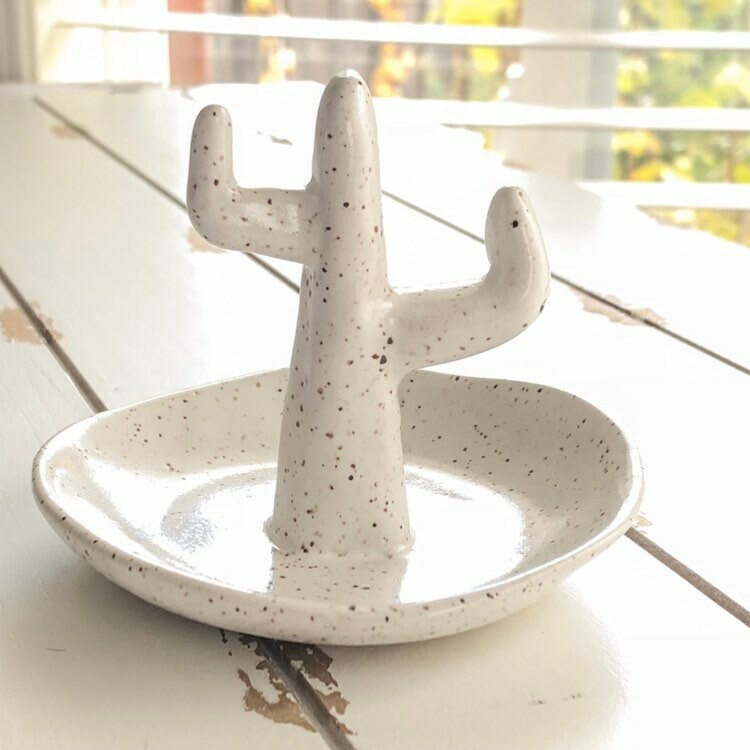 They can be used as trinket dishes, ring trees or ring holders and they can hold multiple rings and other jewelry. 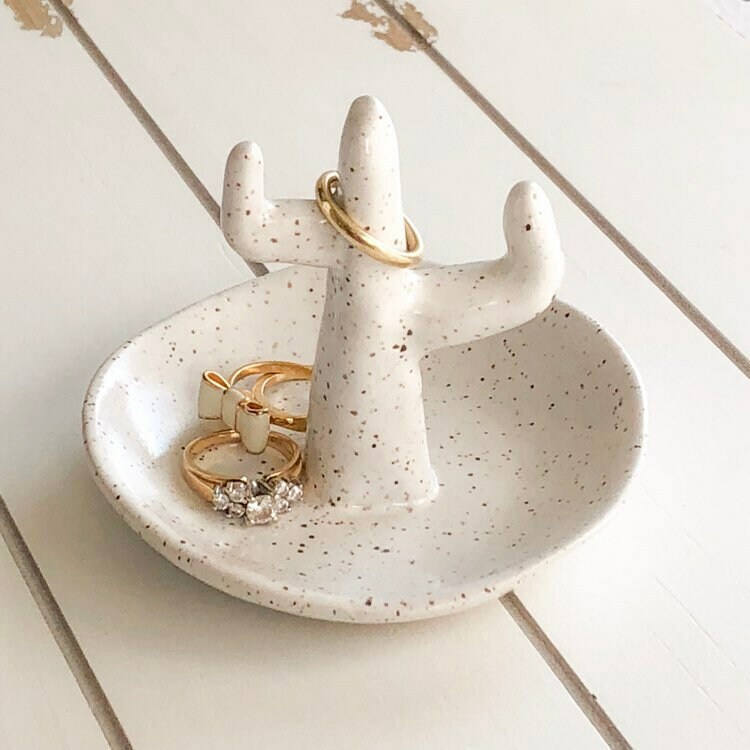 They are perfect wedding ring dishes or engagement ring dishes. 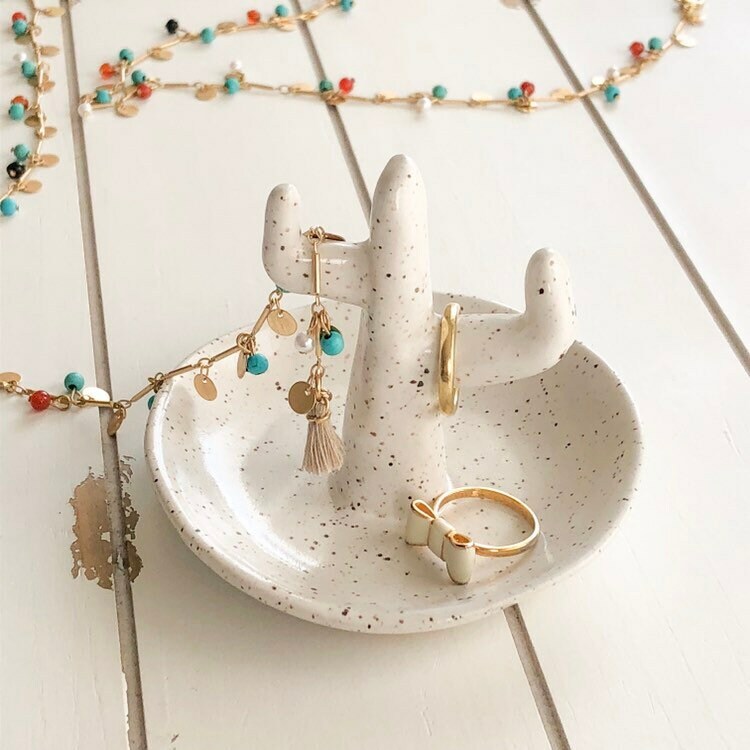 The will make great bridal shower gift , engagement gift or gift for bride or bridesmaids. 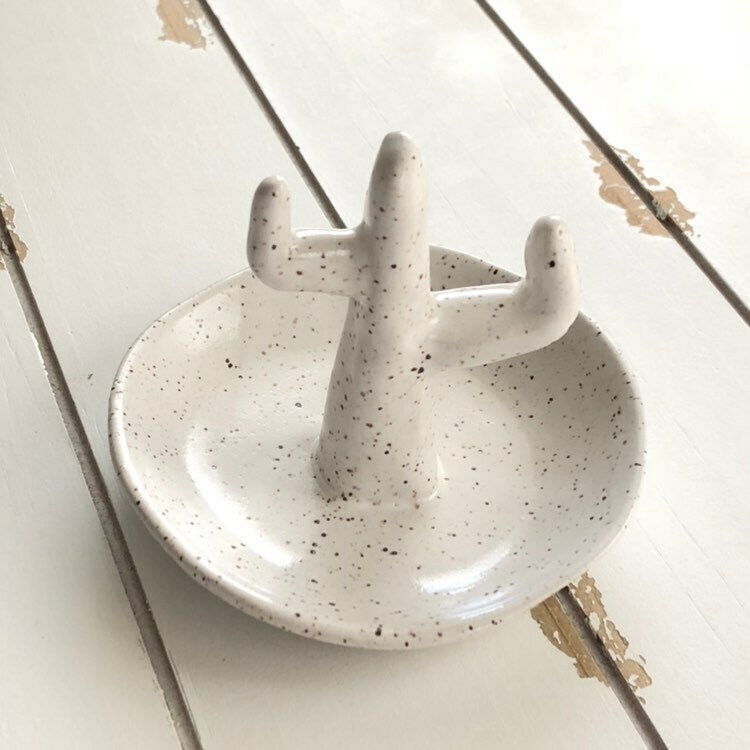 They are entirely hand formed out of speckled stoneware clay which makes each one a unique work of art. 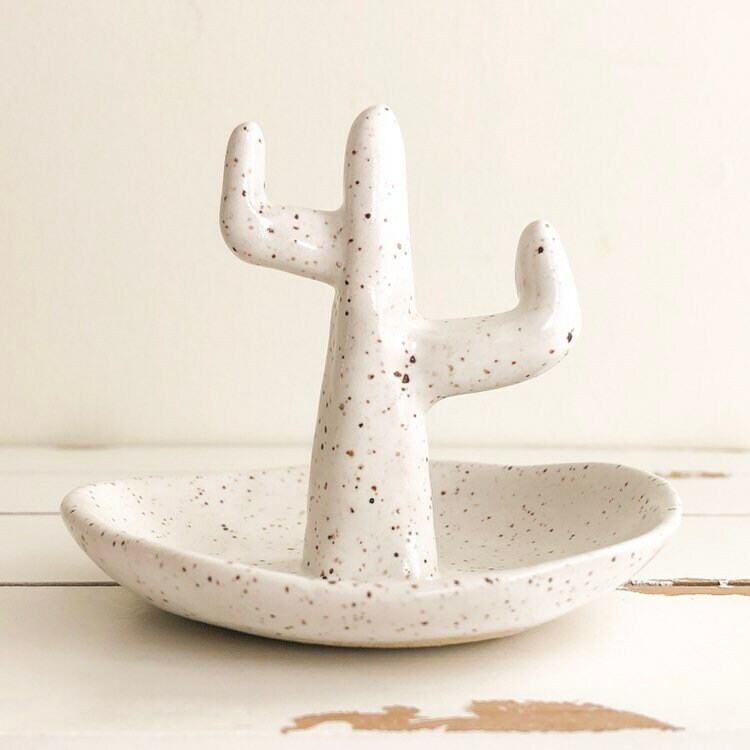 They are coated in satin white glaze that allows the natural speckles of the clay to show thru.